You can find a vast array of products to repel mosquitoes and their bites, but what really provides the best protection against mosquitoes and the the diseases they can carry, such as the Zika Virus? When products with effective active ingredients are used correctly, repellents can be the best means of protection. According to North Dakota State University's extension service, repellents are generally effective for one to five hours. But the actual duration will depend on factors such as the type of repellent is in the product, how much you perspires, whether you scratch or rub your skin, etc. Some "ultra" products can last up to 12 hours. For best protection, you should spray or rub the repellent on both your clothing and on any exposed skin. But be sure to avoid eyes, nostrils and lips; cuts and wounds; and any sunburnt or otherwise irritated skin. Never spray or rub the repellent beneath your clothing, but be sure to cover all your exposed skin evenly and completely -- Mosquitoes can be really good at finding and biting untreated skin or through untreated clothing! Never use bug sprays or other repellents on infants . Keep all pesticides, and other chemicals, out of reach of children and away from pets. Wash repellents from hands and skin with soap and water. Always carefully read and follow all label directions when using any pesticide. DEET is the most common and the most effective active ingredient used in mosquito repellents. In fact, according to the Centers for Disease Control and Protection (CDC), "Insect repellents that contain DEET offer the best protection against mosquito bites." Products may contain a vast range of percent of active ingredient, from 4% to 100% - however concentrations over 50% provide no added protection. Additionally, the concentration does not mean, that a product with a higher concentration will work better, rather it indicates that it will be effective for a longer period of time. It is generally advised that products with more then 15% DEET should NOT be used on children. In addition, care should be taken with application, as some people can have or develop skin irritation or allergic reactions to this active ingredient. Permethrin is sometimes used in repellents. When a product contains permethrin, it should be applied only to outer clothing, not directly on the skin. Citronella, eucalyptus, and other "natural" ingredients are sometimes used in repellent products, however, these generally provide limited and short-lived protection. Some last as little as 10 to 20 minutes. You may have seen reports that catnip oil, and its component nepetalactone, will repel mosquitoes even better than DEET. Howeveer, subsequent laboratory tests have shown that while there is some mosquito repellency to catnip, none have shown that it works as well or lasts as long as DEET. Do Colors and Scents Attract Mosquitoes? Perfume. There is no scientific evidence that perfumes or lotions will attract mosquitoes, however female mosquitoes do sometimes feed on the nectar of flowers and there are laboratory studies showing mosquito attraction to floral scents. So reducing the use of floral-scented products during evening mosquito hours could possibly help reduce attraction. Black Clothing. Some mosquito species are more attracted to dark colors (black, dark blue, deep purple) over light colors (white, yellow, light green). Although not relevant to all mosquito species, it can't hurt to select light-color clothing for outdoor evening events. Alcohol. One study found that alcohol may be as attractive to mosquitoes as it is to many adults. 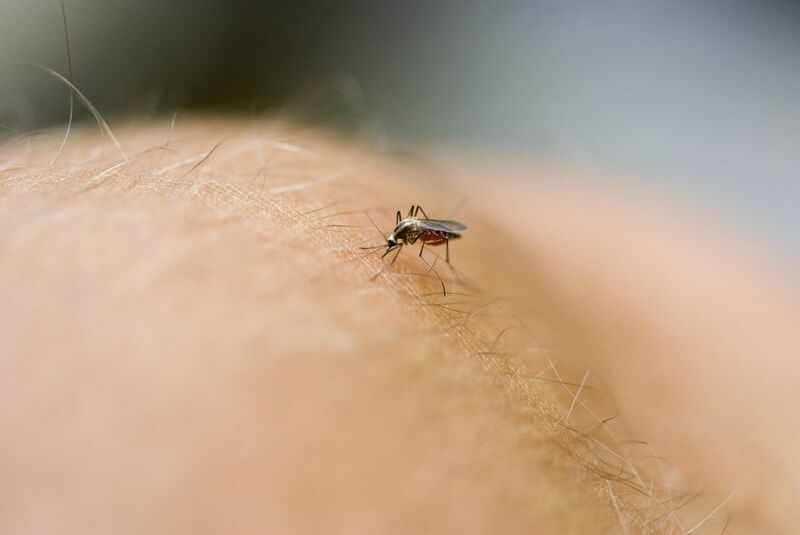 According to the study, cited by the University of Wisconsin, mosquito landing on volunteers significantly increased after alcohol ingestion compared with before ingestion. Another study showed that among six participants, the person who regularly drank alcohol was most attractive to mosquitoes. Garlic/Vitamin B. Although it has been suggested that the intake of garlic or Vitamin B will reduce mosquito attraction, tests have found no evidence of this. So it is unlikely to make any difference to the mosquitoes whether or not you eat garlic, eating too much could be a bit of repellent to the person who has to sit next to you! To find out what does attract mosquitoes, read Why Are Mosquitoes Attracted to Some People? and What Attracts Mosquitoes to Us?